Teldio’s RBX (Radio Branch Exchange) is an advanced telephone interconnect specifically designed to allow radio users to make and receive phone calls directly on their MOTOTRBO™ radios. 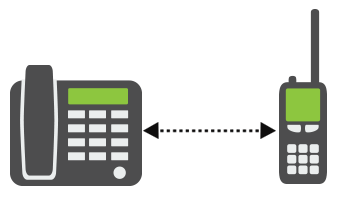 The application goes beyond basic telephone interconnects by allowing radio users to access familiar phone-like features, such as call history, phonebook, and caller ID. RBX +Plus streamlines communication between phone and radio users with private calls, talkgroups, and callgroups. The app was designed to easily scale, and it can connect digital two-way radios to something as simple as a standard POTS phone line or as complex as a corporate phone system (PBXs). 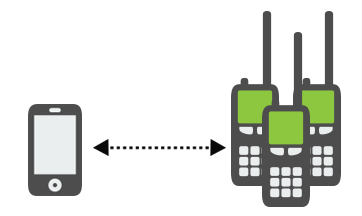 With RBX you are able to make different types of calls between phones, radios, and more. 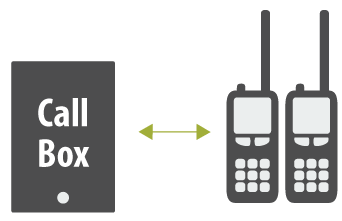 RBX +Plus is a software application installed on a server which connects two-way radios to the world of telephony. The server interfaces to the radio system using MOTOTRBO™ control stations (mobile radios). It was designed to connect to IP and analog corporate phone systems (PBXs), public telephone lines (PSTN lines), Internet Telephony Service Providers as well as GSM cellular networks. Find out more in our RBX Brochure. For more information please contact us, we are always happy to help!